In 2002, photographer Pam Bacich began traveling to Mexico to photograph the Day of the Dead festivities in small communities and graveyards. While traditions vary from village to village, the celebration is centered on the belief that the spirits of the dead will come back each year and visit their loved ones. It is a time of remembrance and a time to celebrate life. Graveyard celebrations and quiet moments of reflection, plus all of the events leading up to Day of the Dead are captured in 132, one-of-a-kind color photographs. Text, in English and Spanish, gives the reader insight into this beautiful and spiritual family holiday that celebrates life and death and honors the memory of deceased loved ones. 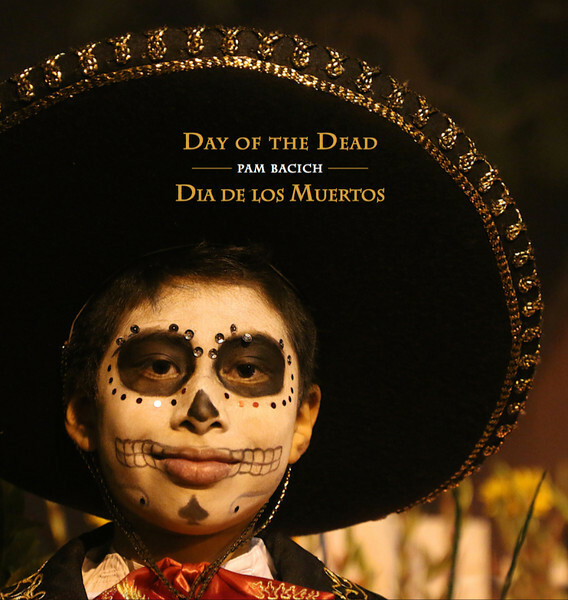 "Day of the Dead - Dia de los Muertos" captures the spirit and emotion of this amazing holiday and will transport you to a magical place and time. Two photos from the book are now part of the permanent collection at the NATIONAL MUSEUM OF MEXICAN ART in Chicago..